Let’s deal with the name and get it out of the way. If your mother-in-law, pastor, imam, rabbi or your non-audiophile buddy drops by and asks what the stylised “S” stands for on the front panel, you need to have a story ready. You won’t want to risk offending anyone – or in the case of your audio buddy, you’ll want to keep him from taking the piss. Stanley, maybe? Sam? Supersonic? You figure it out. Me, I don’t mind a little good-natured vulgarity. To deny myself would mean giving up my Billy Connelly recordings. Why a time machine, you ask? While I write this, I’m listening to digitization of some analog tapes from the late 1980’s and early 1990’s. Lame, maybe, but the JIL has captured back-to-the-future moments for me that would have been lost in a few years due to tape deterioration. The JIL has preserved their smooth and propulsive analog quality, even at the non-optimal 48 kHz sample rate. My usual Audio Research line stage and power amp, PS Audio AC Regenerator, PSB Platinum T8 speakers all connected up with my usual ragtag collection of DIY Cardas- and Kimber-based frankencables. A new-to-the-mix Pro-Ject “The Classic” SB SuperPack turntable, with Ortofon Quintet Red low-output MC cartridge (review in the works.) Those south of the 49th must console themselves with a wimpy Blue Point high-output MC that’s included with their “The Classic” SB SP’s. Just taking the piss; see above. Not being a fan of expensive cabling, I purchased the PYST, a $20 Straight Wire USB cable offered by Schiit. I don’t think I’d be alone in seeing the absurdity of buying a three or four hundred cable to use with a $200 A to D converter. The digital midwife was my mid-grade HP laptop running (free!) Audacity software. The other variable is the D to A conversion on the playback side of the equation. Sticking with the economy, and at the same time high-value approach, a Meridian Explorer 2 USB DAC was pressed in to service. It’s decent sounding, but Meridian, UPDATE YOUR #%^&$#@% WINDOWS 10 DRIVERS SO THAT MQA FILES FROM TIDAL CAN BE DECODED IN FULL RESOULTION, please. Between the PC/DAC interface, an Uptone Audio USB Regen cleaned up the digits and provided clean(er) power for the Meridian. Assumptions, we all make them. I assumed that those younger than myself know a lot more about computers, but that turned out not to be. More, certainly, but in some cases not by a lot. But you can safely assume that I don’t know very much. That being said, here are a few Audacity tips as they relate to using the JIL and Explorer2. In the days before the internet, when “network” was usually preceded by “television” and, “forum” was a hockey rink in Montreal where Les Canadiens played, a former boss of mine called pooling information, “tribal knowledge.” If anyone else in the WoS tribe knows a better way to do what I’m about to describe feel free to enlighten us. Select the sampling rate desired by cycling through the three options (48, 96, 192 kHz) using the push button on the left side of the JIL front panel. Set the gain knob on the right side of the JIL so that when an analogue signal is playing on the input jacks, the orange LED flashes occasionally. If the red LED flashes at all turn the gain down so digital clipping doesn’t occur. Near the top left on the Audacity screen, select Windows Direct Sound as the audio host. For the Recording Device, select Microphone (Schiit Jil A to D Converter). All sources are called “Microphones” in Audacity. On the Playback Device tab select, Speakers (Meridian Explorer2 USB DAC audio), or whatever DAC you are using. All playback devices in Audacity are called “Speakers”. At the bottom left of the Audacity screen, select the sample rate to match that set on the JIL. These next steps are very important to eliminate digital artifacts from software and hardware sampling rate mismatches between the JIL, Audacity and the Explorer2. Right-click on the speaker icon in your Windows tray (bottom right of your Windows screen). Click on Recording devices. In the popup window select Microphone Schiit Jil A to D Converter. Right click on it and select Properties. Click on the Advanced tab. In the Default Format box, select the sampling rate to match what has been set on the JIL and Audacity. Similar to what was just done for the JIL, the same thing should be done for the Explorer 2, or your DAC. Right-click on the speaker icon in your Windows tray (bottom right of your Windows screen). Click on Playback devices. In the popup window select Speakers Meridian Explorer 2 USB DAC audio. Right click on it and select Properties. Click on the Enhancements tab and tick the Disable all enhancements box. Click on the Advanced tab. In the Default Format box, select the sampling rate to match what has been set on the JIL. Be sure to select a 24-bit sampling rate that matches your JIL and Audacity, not the 16-bit rate, as the JIL outputs 24-bit data. Back in the Audacity window, click on the Transport tab and tick Software Playthrough on. This feature, only available on Windows computers, will allow monitoring while recording. Decent instructions for using the software are available on the Audacity site. It’s fairly easy to get started – if I figured it out, anybody should be able to – but just a few more tips. Set the Recording Volume so that musical peaks peak at about -6 dB. Higher isn’t necessary as the peaks will be set to -1 dB later on, using the Normalize function under the Effect tab. Audacity has its own 32-bit file format, but once recording has been completed these can be saved to several formats using the Export Audio function under the File tab. Once a file has been saved in another format, it can be opened and played with Audacity using Import Audio, under the File tab. If you’ve read some of my other reviews you might have noticed that I’ve become quite attached to the Miles Davis masterpiece, Kind of Blue. So much so that I have to mind that I don’t over-play it. Anticipating a better turntable, I purchased the Mobile Fidelity 2-disc, 45-rpm, Kind of Blue reissue last Fall. Even with Ortofon’s entry level, low-output Quintet Red, there are new moments of delight and insight compared to the latest CD remaster. I decided to try and capture these at the JIL’s three sampling rates, 48, 96 and 192 kHz, to explore the efficacy this A-D/D-A chain. I also digitized the Valdy track I used in the preview article, see link above. A guilty pleasure, a Level 42 45-rpm EP I picked up on a whim for five bucks, turned out to be in pristine condition and was digitized too. Several years ago, another audio writer, I forget whom, said turning the audio encoded in a digital file back in to music is like trying to turn hamburger back in to a steak. I’m cognizant of the fact that the DAC I’m using will influence how good the “steak” sounds. To say nothing of the electrically noisy, standard computer used. But we all have to start somewhere. Audacity isn’t convenient for file playback, but it works and it allowed me to gain some knowledge without spending any money on software, let alone deciding what software to buy. Much as you would expect, the higher the sampling rate, the better the sound. And of course, the better the analogue source, the better the sound. In general, the sound was just a little bit less “in the room”, with all of the records, when digitized at 192 kHz. The boss always likes numbers, and if forced I’d say the 192 kHz sampling rate gets 80% of the musical performance, 96 kHz 75% and 48 kHz 65%. But numbers don’t tell the whole story. The Miles Davis tracks at 192 were really close. If I were to play someone the 192 file but told them it was coming directly from the record, I could likely get away with it. But if I then played the record immediately afterwards it would be obvious that playback direct from the record is better. Now we’re talking about a superbly pressed piece of vinyl here, so it’s a tough test. Straight from the record, the muted trumpet had slightly more metallic bite to it. Piano seemed to have more of a lilt, and was more relaxed and flowing too. The air heard in the saxes was more obvious, and as I said earlier, all of the musicians were more “in the room.” Bass was more extended and articulate, and percussion slightly clearer too. Not huge differences, but noticeable if you’re looking for it. The entry level Meridian DAC was likely holding back some of the music. But when you consider that the DAC costs less than $300 Canadian, the performance is pretty darn good. The CD drive in my old player is getting creaky, and later this year I might be forced to take the plunge into file-based playback. A dedicated storage/server device coupled with a decent DAC will, I hope, be glitch-free…or less glitchy than a general-purpose computer. I’ll be depending on this to keep me from pulling out what’s left of my hair. I suspect that playing files produced by a dedicated device feeding a better DAC, will reveal that there’s more music hiding in the digits the JIL has generated than I’m currently able to extract. When Kind of Blue sampled at 96 kHz was played, the involvement felt at 192 was diluted slightly, but noticeably. At 48 kHz, the sound was bleached-sounding, and far less involving. It almost seemed like a cardboard cut out of the direct-from-vinyl sound. The Level 42 and Valdy tracks suffered less when dropping from 192 to 96 kHz, but the reduction in sound quality was still noticeable. As with KOB, going to 48 kHz did no favours to the other two tracks. Memory is cheap. I recently bought a 1TB external hard drive for less than 70 dollars CDN. So I won’t bother with the 48kHz sampling rate. 96 is OK, but I’m going to use 192 exclusively from now on. I’ve been offered access to a substantial vinyl collection. For the price of the 1TB drive mentioned above, I’ll supply the owner of the collection with digital files of everything I fancy copying for myself. Much of the vinyl is old and not in pristine condition, so it’s not as if new vinyl sales will be hurt in the process. If there is anything in the collection I really like, I’ll hunt down a new vinyl pressing if it exists. I think the highest compliment I can pay the JIL is that it is the perfect audio servant. It works well and is almost forgettable, in a good way. I’m sure there are better audiophile grade A to D converters out there, but I’d bet they start at many multiples of the JIL’s $199 US price. I consider the JIL an audiophile-grade product too, in a good way. The only thing is, it’s not twitchy and tweaky enough for a neurotic like me. A tube or two would remedy that. To me, if you are serious about A to D, then use a standalone PRO device that records directly to removable memory. That way all the computer based setup/config that can go wrong is eliminated and you can use the resulting WAV files to do post-processing on a PC (if needed) with no loss of resolution. Audacity (among others) is an extremely complex piece of software and it is easy to make rookie mistakes plus the computer capturing the signal will typically not be optimized for minimum noise. Yes the PRO device might cost a bit more but you get a much better result (i.e. way less components involved) with much less effort…after all you really want to digitize once and get it right first time. Thanks for the well-done review. Shame that you couldn’t also get hold a more midrange DAC, maybe a bifrost Multibit. As you mentioned, making steak again isn’t easy. Its impossible to judge the AD without knowing how good the DA is. Schiit acknowledged that this is a “first try” , so its hard to know if JIL is mediocre or not. I’ve investigated and auditioned pro AD and DA units (at 10X cost), and even then there’s no guarantee how neutral and accurate they will be. I was hoping JIL would be close enough and maybe someday schiit will decide to make a killer multibit AD too! Thank you both for your comments. Wall of Sound doesn’t have review samples thrown at us the way I’m sure the Stereophiles and TASs of the world do. We have to beg, plead and sometimes spend our own money. I spent my own on the JIL to “preserve” the analog tapes I mentioned in the review. The way the Schiit business model is set up all of their products seem to offer value beyond their price. A friends LYR is certainly a high-achiever even before the price is taken in to consideration. With regards to pro gear I agree it can offer a high performance but at a price. One thing that my years of working in a scientific field taught me about pro gear was that high performance is not necessarily the prime objective. Pro gear must first and foremost be reliable and secondarily offer a high degree of immunity to interference from other gear. That’s not to say pro gear can’t sound good but there’s more you’re paying for in it’s higher price that you don’t necessarily need. Point taken about the small Meridian DAC. Later this year I shall retire my creaky CD player and go to file based audio. But with a dedicated device, not with a PC. A decent DAC will be part of the new regime too. One of the first things I’ll try is some of the LP files digitized by the JIL. I’ll post my findings on Wall of Sound. ” To me, if you are serious about A to D, then use a standalone PRO device that records directly to removable memory ”. Hi, I’ve tried the Audacity and it’s way too complicated for an old fart like me (70 years old) can you tell me where I can get that Standalone Pro device you mentionned above. Thanks. I wanted to buy the Schiit Jil but I’m not sure anymore. I have purchased the Schiit Fulla 2 and I’m very happy with it. Thanks. Guy in Vietnam, but from Montreal, Canada. Thank you for your interest in Wall of Sound. I don’t know what pro gear the other commenter was referring to but I’ve found two possibilities, though only one is “pro gear”. Both of the examples I’ve found require the use of an external computer for storage though. I suspect that a device with built in storage will be many times the price of the JIL and you will still have to deal with software when you want to play the files back. 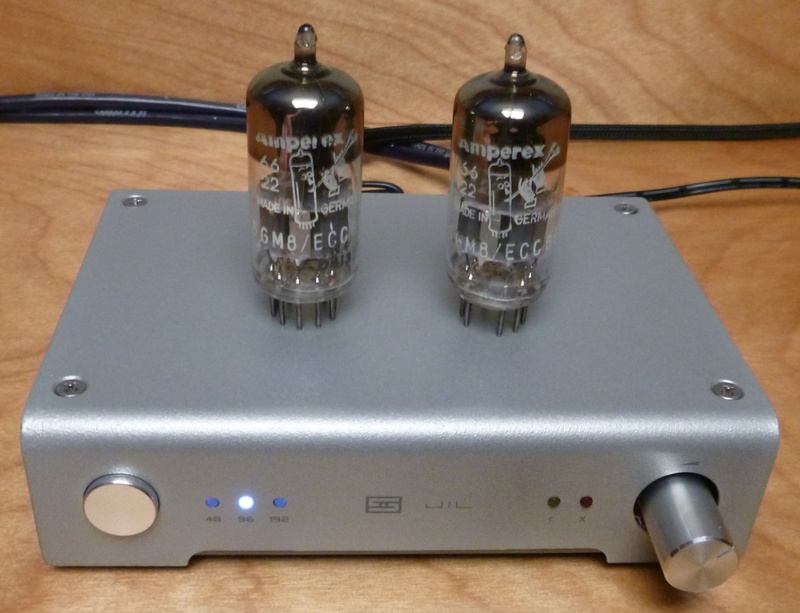 The first is the PS Audio Analog Phono Converter. It’s a phono preamp that will digitise a phono cartridge feed or a line level signal as well. https://www.psaudio.com/nuwave-phono-converter/ The US price is $1,000. The second example is a piece of pro location recording gear that has microphone preamps as well as the A to D conversion circuits. As mentioned above you are still stuck with using an external computer with software. As someone approaching your age I feel your pain with regards to wrangling software but to tell you the truth I didn’t find Audacity that bad. But then I HAD to learn how to use computer aided design software later in life to keep my job. PS Audio mentions both Audacity and Vinyl Studio (https://www.alpinesoft.co.uk/). If you primarily want to digitise LPs then Vinyl Studio, at a purchase price of $30, but free to try, might be worth a look. Unfortunately for us old timers any digital device more complex than a CD player will require familiarity with software of some sort. Well, I guess (Not much choice) I will have to learn how to use Audacity or Pure Vinyl or Explorer 2 or Garage band… My other choice is to try to get help from my computer salesman, he’s also a DJ. Well, thanks again. Mr. Leduc. I am a Canadian (Montreal) now living in Vietnam (Saigon) for the past 22 years and next month I will be in Montreal for a few months to take care of personal business. On my return to Vietnam I will give it a try. I think the PRO unit people are talking about would be something like the TASCAM DA-3000 (999$ US) where you record directly to a SD card instead of a computer. It does 44.1, 48, 88.2, 96, 176.4, 192 as well as DSD 64 and 128. Although I never tried one, you probably would still need a computer to “finish” the LP’s for tagging, splitting the songs, etc. I tried Audacity and got my way into it but I agree with you, it is quite a complicated program for a newbie. I didn’t like it and bought Vinyl Studio which is much, much, much easier to work with and really focus on LP ripping (the discogs search feature is priceless for tagging). Still, Audacity is free and is a very complete program that can pretty much do everything, its just so damn hard to learn! thanks for the extra comments and info. Next week I will be back to my hom country Canada for approximately 6 months to take care of personal business, therefore, my vinyl to USB project will be on ice, but certainly not dead.